Welcome to the official page of the JLC Working Lunch, organized by the Junior League of Charlotte, Inc.! The JLC Working Lunch is an opportunity to support the JLC’s work improving the community and to be inspired by a nationally-renowned speaker. 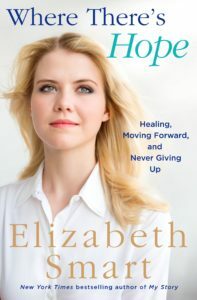 For our Second Annual Working Lunch, the JLC is thrilled to welcome best-selling author and advocate Elizabeth Smart to the Queen City.